Between the phantasms of nightmare and the realities of the objective world a monstrous and unthinkable relationship was crystallizing, and only stupendous vigilance could avert still more direful developments. Order your own copy of The Wages of Sin at your local retailer or online through our website today! 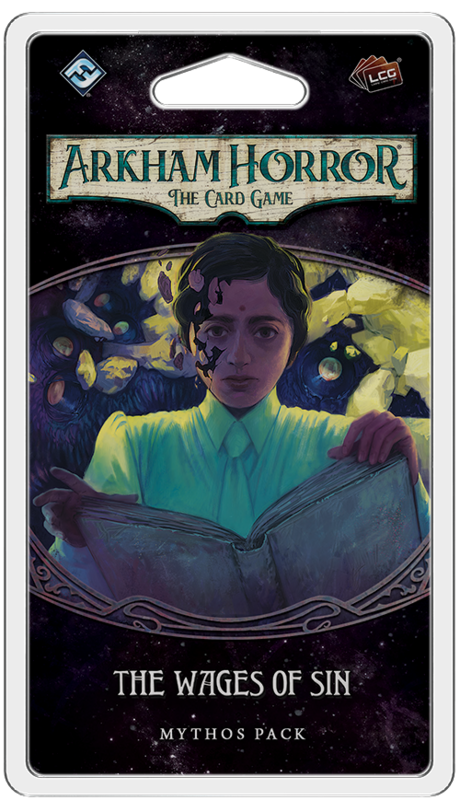 Fantasy Flight Games is proud to announce The Wages of Sin, the second Mythos Pack in The Circle Undone cycle for Arkham Horror: The Card Game—now available for pre-order at your local retailer or online through our website! Following the events of The Secret Name, you have been forced to reconsider everything you thought you knew about life and death, sanity and madness. And the mists that hang over Arkham strike greater fear into you than ever before. You must delve deeper into the city’s history of witchcraft and persecution if you wish to make sense of all you have seen. There have been reports of ghost sightings and strange activity in the woods the last few nights at Hangman’s Hill, and you must journey here to learn more about the witches who once hid in Arkham—witches who have again emerged from the shadows in pursuit of some unholy purpose. 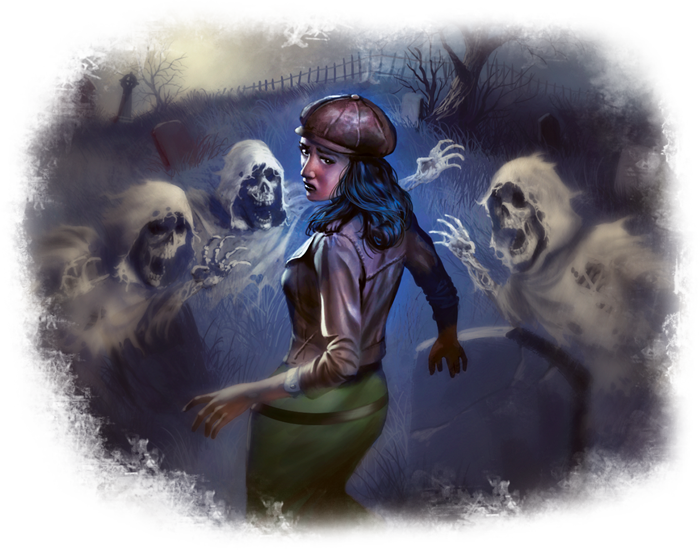 When you step onto the hallowed ground of the graveyard, you may find yourself consumed by a feeling that you are not alone, as if the ghosts of the past are all around you, existing on some separate unseen plane. In The Wages of Sin, the locations that you will investigate have two revealed sides, one that exists in the realm you know and one that takes you to the spectral plane. 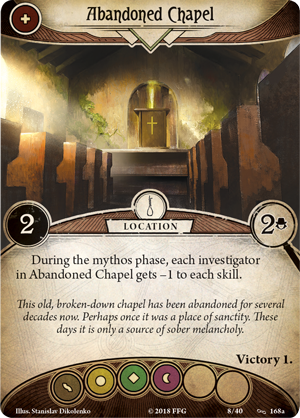 As you plumb the secrets of Hangman's Hill, locations like the Abandoned Chapel (The Wages of Sin, 168) may flip to their Spectral side, confronting you with a new set of terrors as you face a second encounter deck with its own challenges. 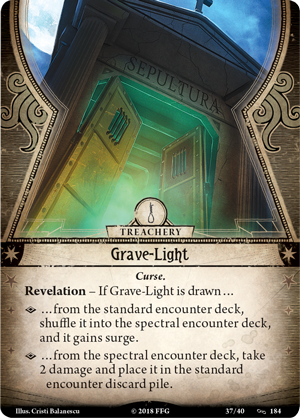 While you are in a Spectral location, you will use the Spectral Encounter Deck instead of the normal encounter deck, and the dangers that surround you take on a more ghastly light. 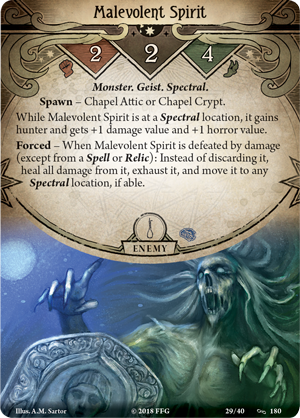 Within this ghostly encounter deck, you'll find shadowy perils like a Malevolent Spirit (The Wages of Sin, 180) that becomes stronger on the Spectral plane—unable to even be killed unless you use a Spell or a Relic. 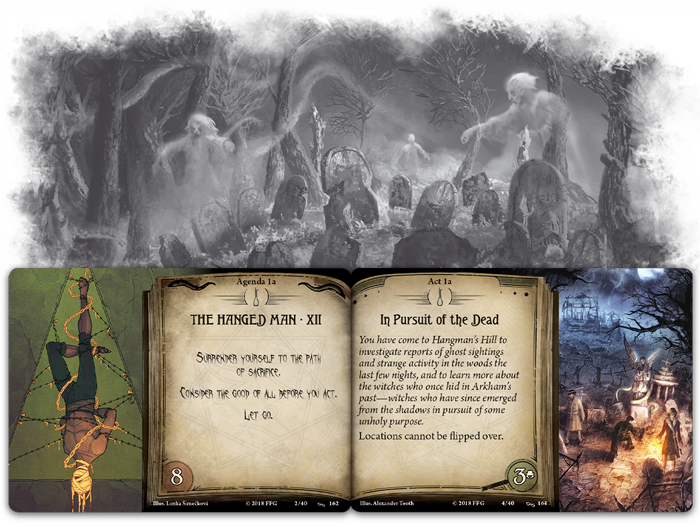 Then, there are challenges like Grave-Light (The Wages of Sin, 184) that have different effects based on their encounter deck. This may be your city, but it is no longer your world—can you survive against the dead? Only a fool would venture into an Arkham graveyard at night alone. As such, The Wages of Sin introduces a host of new allies to go on the excursion with you. 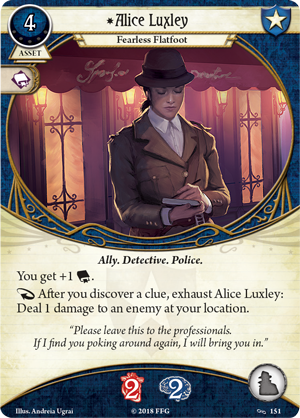 Guardians can bring the always-professional Alice Luxley (The Wages of Sin, 151) to their team for some investigative help. While this fearless flatfoot is in your service, your intellect is increased, which, with any luck, will help you trigger her reaction—when you discover a clue, you can exhaust Alice to deal one damage to an enemy at your location! 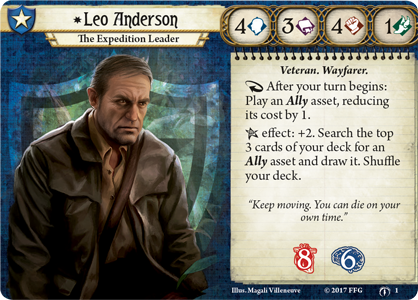 She would make an excellent partner if you are stepping into the role of an investigator like Roland Banks (Core Set, 1) or Leo Anderson (The Forgotten Age, 1), who may specialize in battling monsters, but still possess a respectable intellect. But for discovering clues, there is still no finer class than the Seekers, who may now call on Mr. "Rook" (The Wages of Sin, 153). 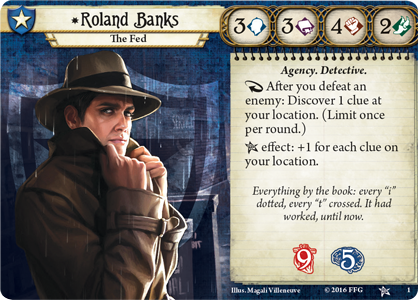 As a fast action, the dealer of secrets may help you search the top three, six, or nine cards of your deck for any card you desire and draw it. But this knowledge comes with a risk: you must draw a weakness if you come across any in your search. This element of gambling with your luck continues with the roguish Henry Wan (The Wages of Sin, 155). 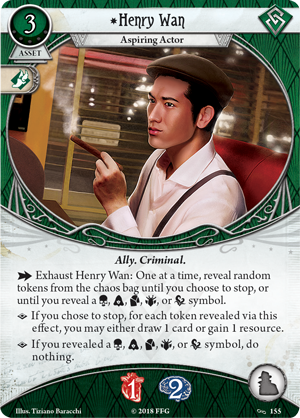 As an action, Henry Wan can reveal random tokens from the chaos bag until you choose to stop, drawing a card or gaining a resource for each revealed token. 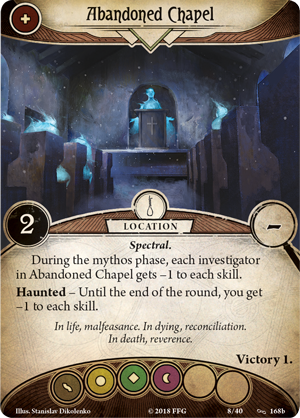 If, however, you reveal the auto fail token or one with scenario-specific effects, your gamble has brought you nothing! 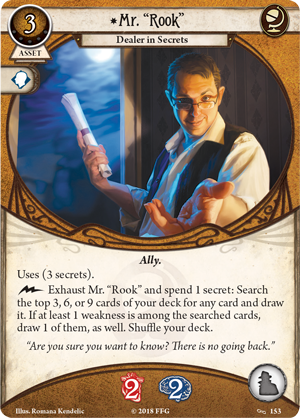 Henry Wan can be extremely valuable, helping you find both favored tools from your deck and the resources to pay for them, but how far can you push your luck before you fall victim to fate? Resurrected threats are gathering in the mists and soon Arkham may fall to darkness unless you can restore the light. Muster your courage, hurry to Hangman’s Hill, and discover the secrets buried in the soil! Pre-order your copy of The Wages of Sin (AHC31) at your local retailer today or online through the Fantasy Flight Games website here!